The FoBa.ru is the first company in the world providing financial advertising. It was based on the Group's AdvLine. Since 2006 the agency has developed more than 3000 successful campaigns. FoBa.ru has established itself as a reliable partner in the field of media development. We specialize in banner and contextual advertising, advertising in social networks, PR and promotion. FoBa.ru is dynamically developing project, always put on the market of financial advertising development aimed at attracting potential customers to advertisers. FoBa offers the best conditions for cooperation with web-sites. Different systems work (CPM, CPC, CPA, CPS) in positions of monthly buying, full representation in the market (FoBa Exclusive) or partial redemption of advertising space. 50 successful campaigns monthly. More than 800 partners over the world. We will lead you by financial advertising market to get the clients are waiting for you. Fx-t.ru is an information portal for forex traders, which allows more deeply evaluate the processes occurring in the graphs of various currency pairs. On pages fx-t.ru you can find analytical articles from Goldman Sachs, Societe Generale, Standart Chartered, JPMorgan, and articles from well-known financial publications - The Financial Times, The Telegraph, The Economist, etc. The portal is interesting both beginners and experienced speculators. World Forex is an Independent Forex-forum which is integrated into the largest social network "VKontakte". 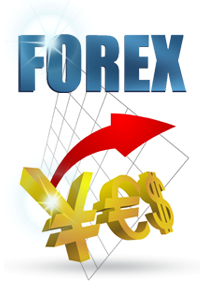 Users could share with each other analytics, opinions and projections on the Forex market online. Community forex.vkontakte.ru is one of the largest Internet - Community Russian forex audience, which is visited by over 50,000 people.